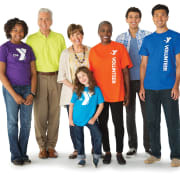 The YMCA is committed to strengthening communities. Every day, we work side by side with our neighbors to make sure that everyone, regardless of age, income or background, is provided with opportunities to learn, to grow and to thrive. The Y is one of the nation’s leading nonprofits strengthening communities through youth development, healthy living and social responsibility. The Anaheim Family YMCA was founded in 1911 and currently impacts nearly 20,000 youth, teens and adults across the greater Anaheim area. The Y has long-standing community partnerships and physical presence not just to promise, but to deliver, lasting personal and social change for a stronger and thriving community now and in the future. Anaheim Family YMCA accepts donations. Donate Now. Would you recommend Anaheim Family YMCA?